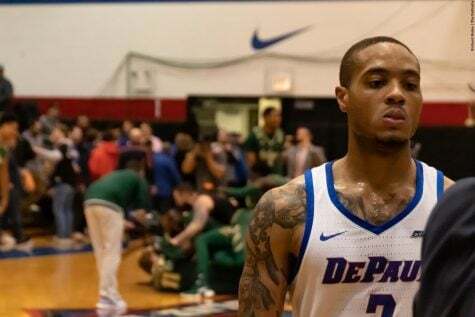 MILWAUKEE — DePaul sophomore guard Billy Garrett Jr. smiled Thursday as he recalled the amount of people coming up to him this past week about playing Marquette. But on Saturday in Milwaukee at the BMO Harris Bradley Center, Garrett’s smile disappeared. 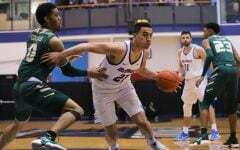 In the latest game of a rivalry that dates back 116 games, Garrett shot 1-for-9 for just two points in a 58-48 loss to the Golden Eagles. After Garrett blew a makeable layup at the rim, the sophomore guard yelled out in frustration. 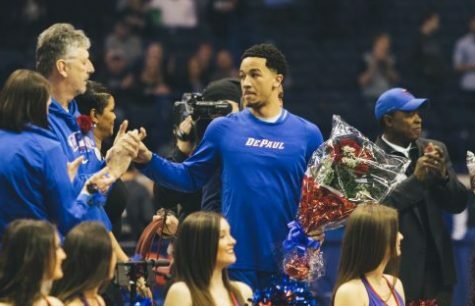 Even in a down year for both teams, the Marquette-DePaul rivalry was still as contested as ever. As far as stylistic points go, this installment had none of it. 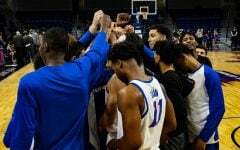 The Blue Demons (12-19, 6-12 Big East) carried its feet through the mud on offense and shot just 30 percent on the day. 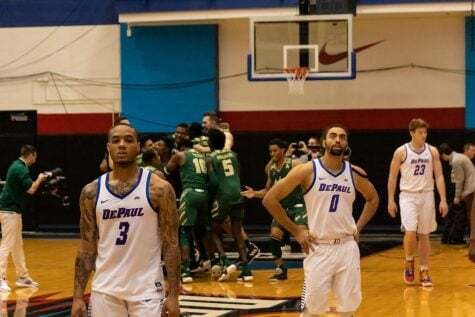 DePaul went multiple five-minute stretches in the first half where they failed to score. Meanwhile, Marquette (12-19, 4-14) failed to do any better, having a sizable lead but not able to blow the game open. While the game was sloppy, that didn’t stop the players nor the crowd of nearly 16,000 from getting into it. 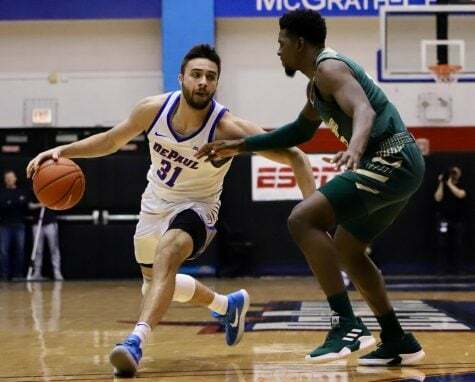 Marquette center Luke Fischer had 17 points Saturday while DePaul guard Billy Garrett Jr. scored just two points in DePaul’s regular season finale. 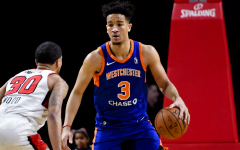 Curington, a reserve guard who has been earning more playing time lately, finished with nine points in 18 minutes. 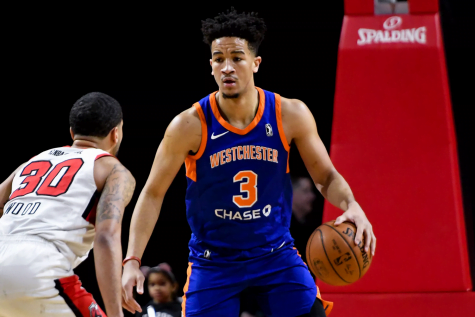 During his time on the court, however, Curington was one of the more vocal players, jawing with Marquette players and trying to encourage his teammates. 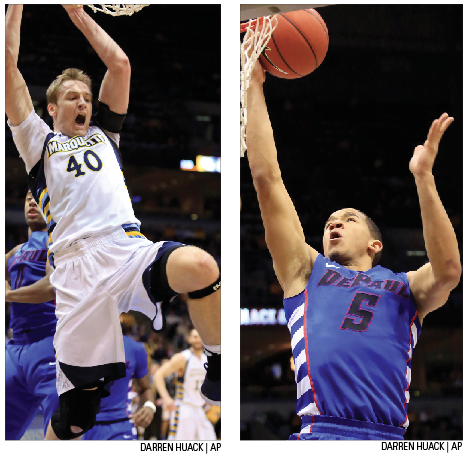 DePaul forward Rashaun Stimage experienced his first game against Marquette. Stimage, who transferred from Daytona State College, missed the first meeting of the year with a foot injury. 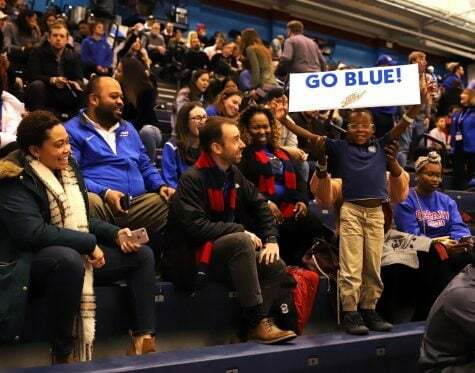 On the Marquette side, fans were clearly enjoying the beating that DePaul took. On one possession late in the game, Garrett hoisted up a 3-pointer only for it to fall well short of the rim. The student section then broke out a “BILLY GARRETT” chant to taunt the sophomore guard. 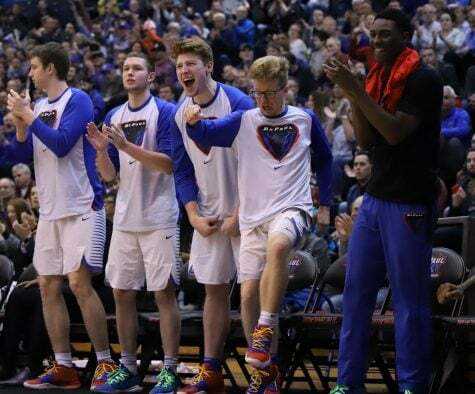 Peter Ryckbosch, who has missed the entire season with an ACL tear, was even heckled from the bench. Marquette fans taunted him, asking why he wasn’t in the game. It was the type of atmosphere that made the win that much more enjoyable on the Marquette side. 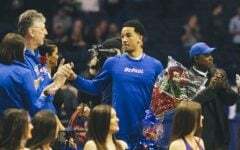 This is the rare year that DePaul actually finished ahead of Marquette in the Big East standings, having the Blue Demons finish seventh in the conference while the Golden Eagles placed ninth. Marquette holds an all-time 71-45 edge in the series, but are in the process of a rebuild. Marquette hired long-time Duke assistant Steve Wojciechowski in 2014 after Buzz Williams bolted for Virginia Tech. 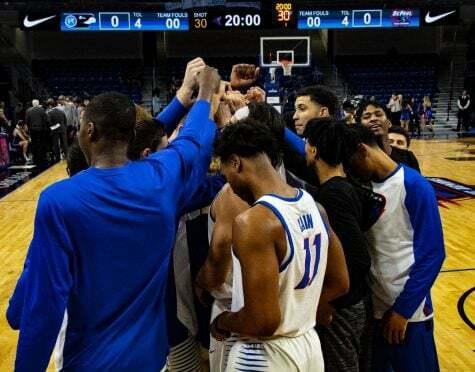 DePaul picked up their first win against the Golden Eagles earlier in the season for the first time since 2010. 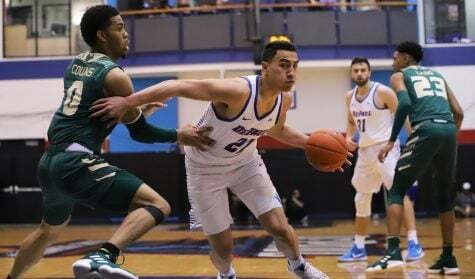 Garrett had 19 points and helped erase a 13-point deficit as the Blue Demons won 61-58. Yet in the rematch, Garrett’s shot wasn’t falling. Marquette loaded up their zone defense and focused entirely on shutting down one player. 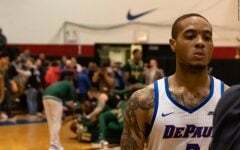 And like many who are so invested in DePaul basketball have done, all Garrett could do was hang his head.